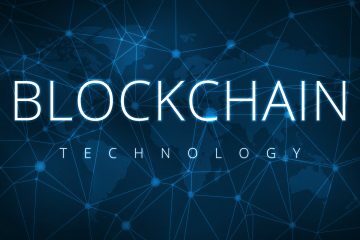 What is blockchain technology? Here is your essential guide to everything you need to know about blockchain technology. Everyone in business and tech is talking about blockchain. But what is blockchain, and what should you know about it as a professional? This guide provides everything you need to know about this evolving technology. So, what is blockchain? The technology was once kept only among tech circles. Its designers created it to support cryptocurrencies like Bitcoin. Some have predicted blockchain will be a passing trend. But users are finding more and more applications that drive business value. That’s because its foundation transcends its original purpose. Blockchain allows users to distribute digital information without making copies. More than one person can write entries into a record of information. The result is a distributed database whose records update on their own. This differs from centralized databases. Centralized databases need internal governance and costly updates. Blockchain eliminates the need for internal gatekeepers to engaging business-critical materials. The question ‘What is blockchain?’ is somewhat redundant. That’s because blockchain comprises familiar technologies. But it represents a paradigm shift in how databases operate. Centralized databases are defined by their vulnerabilities. They represent a treasure trove of data for individual companies. Data managers must track and protect the gateways to leveraging that data. This constant vigilance and regulation is costly for companies. What’s more, it limits what it can do with its data. Leveraging data depends on its exposure to practical systems. Blockchain functions differently. It is, for the most part, incorruptible. Businesses can create thousands of “nodes” for inputting and outputting data. One of the key reasons companies adopt blockchain is its efficiency. Exchanges become faster and simpler without regulatory gateways. When these modifications happen in real time, it has unprecedented performance. Imagine you’re managing a giant Excel spreadsheet. Blockchain duplicates the spreadsheet across your company’s entire network. Thousands of business users access the spreadsheet daily. Those users make modifications to the spreadsheet. A normal spreadsheet would save those updates to your PC or database. Blockchain doesn’t centralize data in this way. Instead, blockchain treats the entire network as a unified database. It reconciles data in real time. The system updates and shares that data across the network. With traditional databases, IT professionals regulate which users can access data. That’s because databases are vulnerable to malware and abuse. Allowing an untrustworthy third-party access can put an entire company in jeopardy. Blockchain does not centralize data in a single location. It protects itself by becoming public. It can thwart abnormalities when a reconciliation occurs. This decentralization makes hacking attempts futile. Cyber attacks target centralized locations that put entire networks in jeopardy. A potential hacker could target only one reconcilable node. One can see why blockchain is effective for systems like Bitcoin. But these advantages apply to other business models as well. 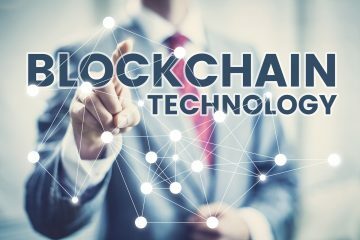 Blockchain provides new types of fundamental IT services. This alternative database model is transferable across industries. Leading companies have already leveraged blockchain for assorted reasons. But what is blockchain used for in 2018? The following five use cases are examples of how organizations can use blockchain today. Businesses spend thousands on optimizing operations. Some of their largest strangleholds exist in warehouses and the supply chain. This is especially true in validations and qualifications across the chain. Companies must qualify suppliers before leveraging them as resources. This involves a network of paperwork and bureaucratic processes. They must update information for regulatory and safety reasons as well. That’s why blockchain has great applications for supply chain management. If every supplier was a blockchain node, these updates would happen in near real-time. Users could gather data and maintain project information for greater business insights. Banks carry the most protected assets in the world–money. They use protective databases and intermediaries to protect these assets. This delays services for both small business owners and multi-national corporations. Factor in the immediacy of stock sales. Industry-wide delays on transactions slow down businesses everywhere. Blockchain can remedy those ails. 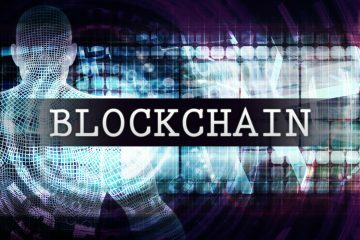 Fortune predicts blockchain will drive rapid increases in the speed of banking services. They expect disruptions in the use of brokers and clearing houses as well. And blockchain will completely alter how banks process international transfers. Transferring patient records is one of the greatest challenges in healthcare today. Industries have grown by building technologies to support this process. Their biggest roadblock–widespread adoption. Blockchain can support near-universal access to patient records. It can ensure physicians receive real-time updates to patient records as well. Doctors needn’t call upon other practices to transfer critical information. This liberates patients from visiting specific facilities as well. Patients can count on accurate information no matter where they go. And blockchain protects data more safely than centralized databases. Law firms struggle with managing documentation. It can be tedious getting clients to sign documents to begin with. Dealing with several clients and the courts can be unmanageable. Some law firms are experimenting with “smart contracts.” These contracts not only confirm and transfer legal information between parties. They can carry out actions upon signed agreements as well. States are still wrestling with the safety and legality of blockchain. But its non-traditional security features make for a strong case. The security of the voting process is under constant scrutiny. That’s because voting information is still centralized in databases. These databases are vulnerable and targets for hackers. Blockchain would reconcile votes to prevent fraud. It would identify anomalies as it reconciles voter information. It would be invulnerable to hacking due to its network model. Open data management solutions provide new opportunities for public and private entities. Blockchain adoption may be a paradigm shift for some. But its countless benefits may streamline adoption for years to come. What is Blockchain Going to Do for You? At Ionixx, we’re building solutions with dozens of applications for business. Blockchain can revolutionize the ways you drive business value as well.